Audience: Professionals — policymakers, clinicians, medical organizations, and stakeholders. Purpose and use: Raise radon awareness by posting these messages on Facebook, Twitter, or other platforms. Grab attention with shareable images and interactive polls. Messages are organized into the three categories below. Just copy and paste whatever you need. Below are messages encouraging professionals to take action during Radon Action Month in January. Be sure to check the EPA website for more information about Radon Action Month activities and hashtags. We want to hear from you! 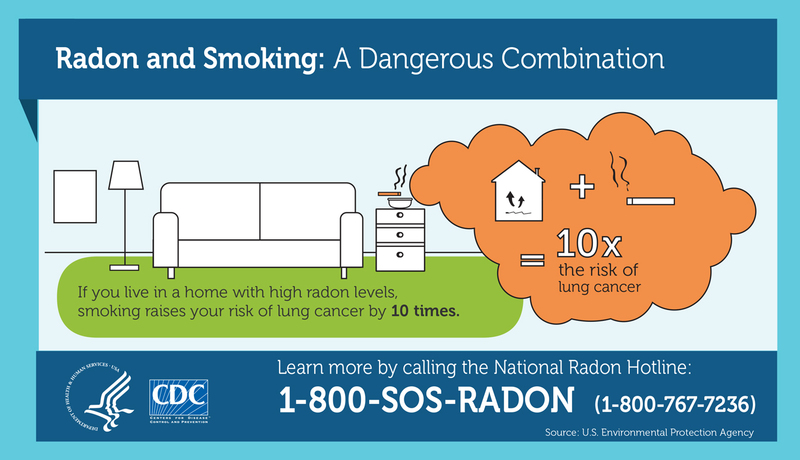 What is your organization doing to address the dangers of #radon this #RadonActionMonth? 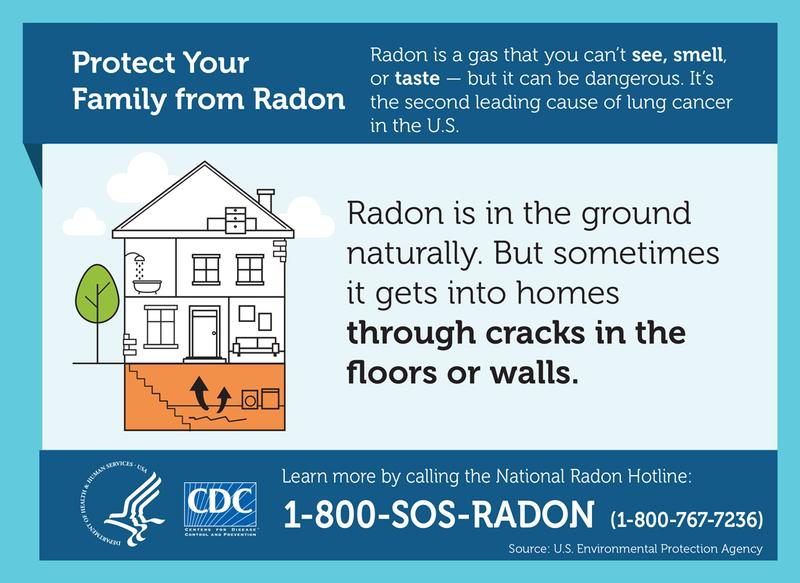 How is your organization working to spread the word about the risks of radon and the importance of home radon testing this Radon Action Month? We want to know — tell us in the comments below! Below are messages about the health risks of radon — these can be used any time of the year to share important information about radon with consumers. Radon is the second leading cause of which type of cancer? Below are messages about home radon testing — these can be used any time of the year to share important information about radon with consumers. The only way to know if your home has high #radon levels is to test it. Find a test kit: http://1.usa.gov/1MlZeZz Please RT! 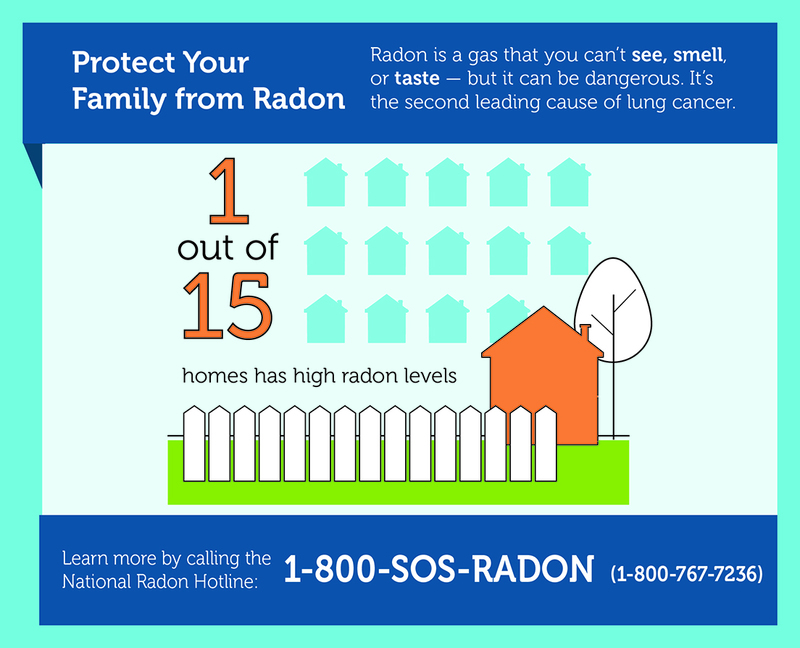 Call 1-800-SOS-RADON to buy a #radon test kit by phone. It’s a quick and affordable way to keep your family safe!